1 Pasta: Grab yourself one of those veggie spiral cutting gizmos, which let you render produce into pasta-like ribbons. Zucchini does particularly well. Toss the zucchini spirals in a hot skillet with a splash of oil for a minute or two, then dress with sauce and cheese as you would pasta. Or boil up real pasta, then add the zucchini for the last minute. Drain and dress. 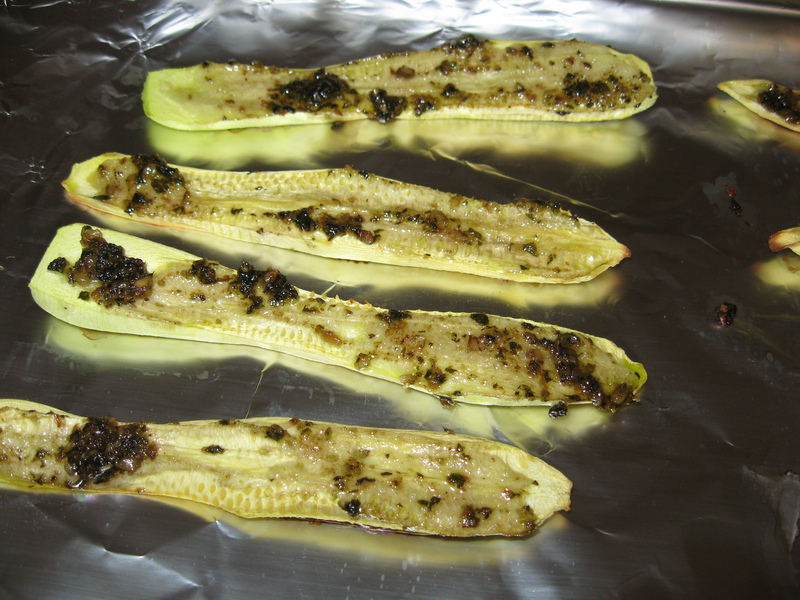 2 Dip: Slice a zucchini in half and toss it on a medium hot grill. 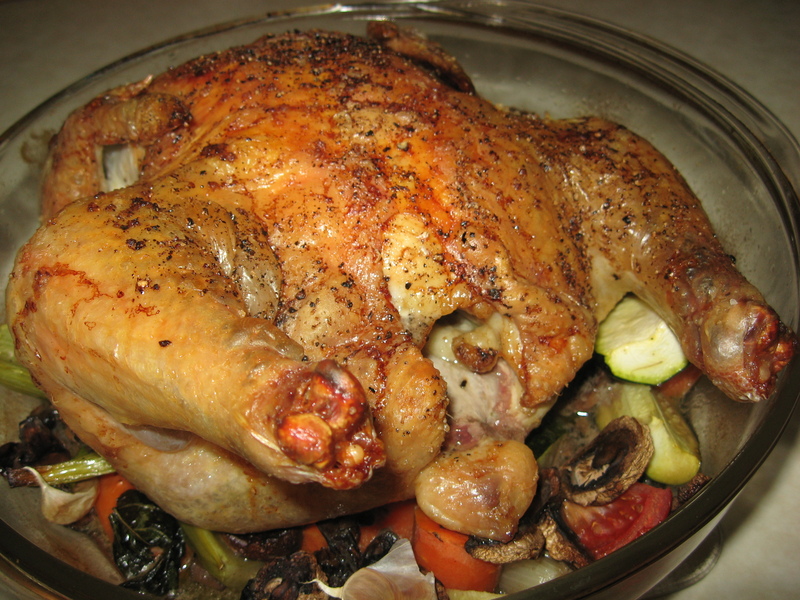 Cook until lightly browned and tender, then pop it into a food processor. Add tahini, garlic, salt, pepper and a splash of lemon juice, then process until very smooth. Use as a dip for vegetables and chips, or as a sandwich spread. 3 Salsa: Dice and toss together 1 medium zucchini, 1 large tomatillo and 1/2 red or orange bell pepper. Add 1 tablespoon balsamic vinegar, a pinch of red pepper flakes, 1 tablespoon chopped pickled jalapenos and a splash of hot sauce. Season with salt and pepper. 4 Fries: Cut the zucchini into 1/2-inch-thick sticks, then toss them first in a beaten egg, then in seasoned bread crumbs. Arrange in a single layer on a baking sheet, then bake until crisp outside and just tender inside. 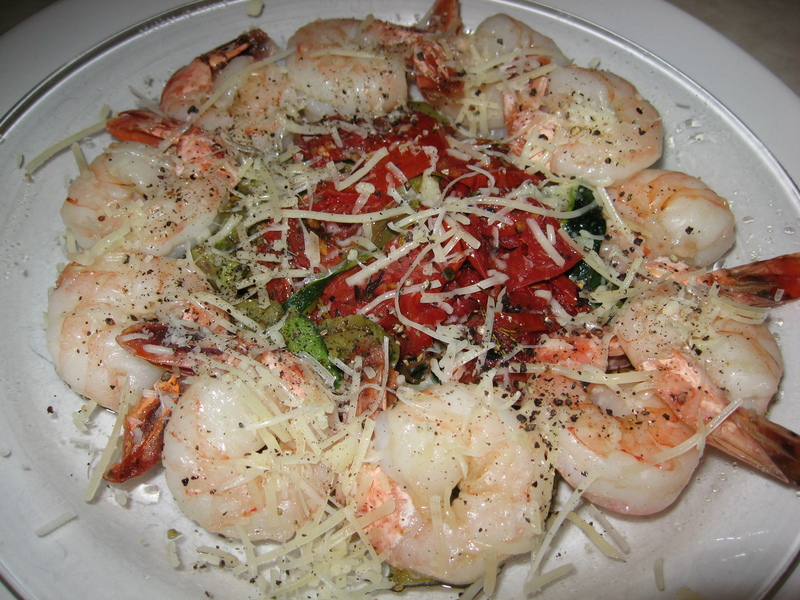 As soon as they come out of the oven, sprinkle them with grated Parmesan cheese. 5 Boats: Slice a zucchini in half, then use a melon baller to scoop out the insides of each half. 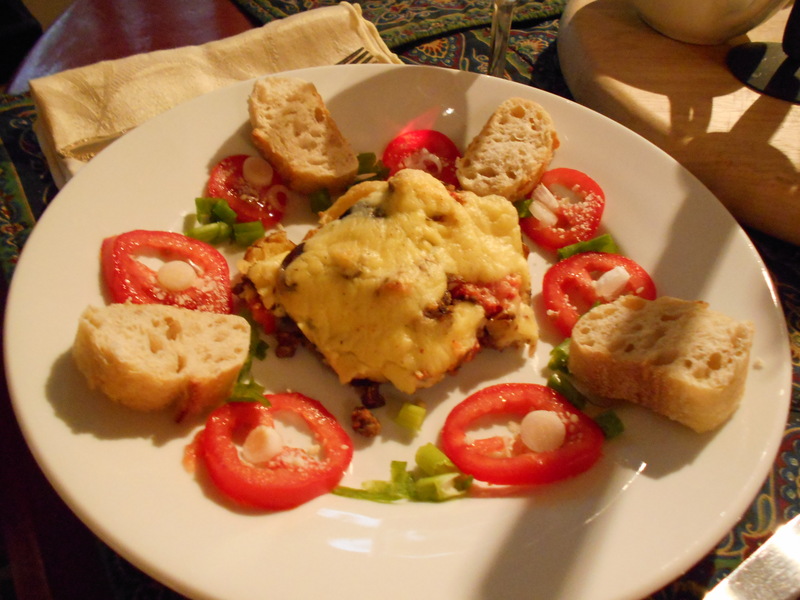 Mix together loose sausage meat, grated cheese and chopped sun-dried tomatoes. Pack the mixture into the hollowed out zucchini halves, then bake or grill (over low heat) until cooked through. 6 Frittata: Use a mandoline or food processor to slice the zucchini as thinly as possible. Whisk 6 or so eggs, then pour them into an oiled pan and cook over medium-high until the bottom is just set. Scatter the zucchini slices evenly over the top of the egg, then crumble feta over it. Broil until lightly browned and the center is set. 7 Grain salad: Toss finely diced raw zucchini with cooked and cooled farro or barley, halved cherry tomatoes, diced red onion and crumbled soft goat cheese. Dress with lemon juice, olive oil, salt and pepper. 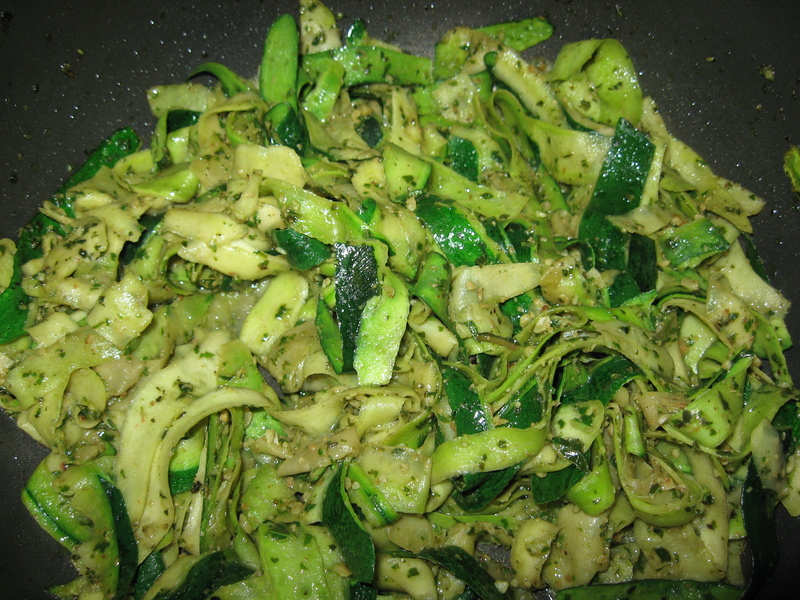 8 Tart: Use a mandoline or food processor to slice the zucchini as thinly as possible. Unfold a sheet of puff pastry (thawed according to package directions). Run a paring knife along the outside of the pastry about 1 inch from the edge and cutting only halfway down. 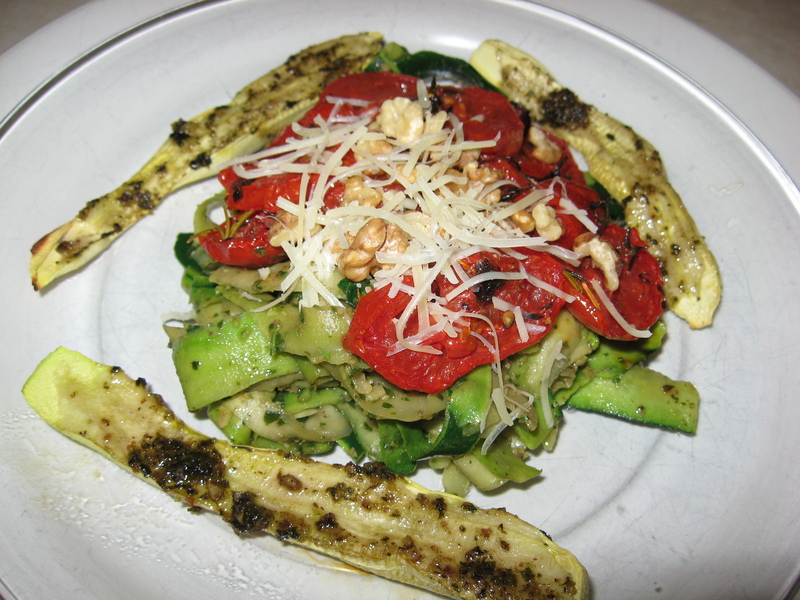 Arrange the zucchini slices in the center, then sprinkle with grated Parmesan. Bake at 400 F until puffed and lightly browned. 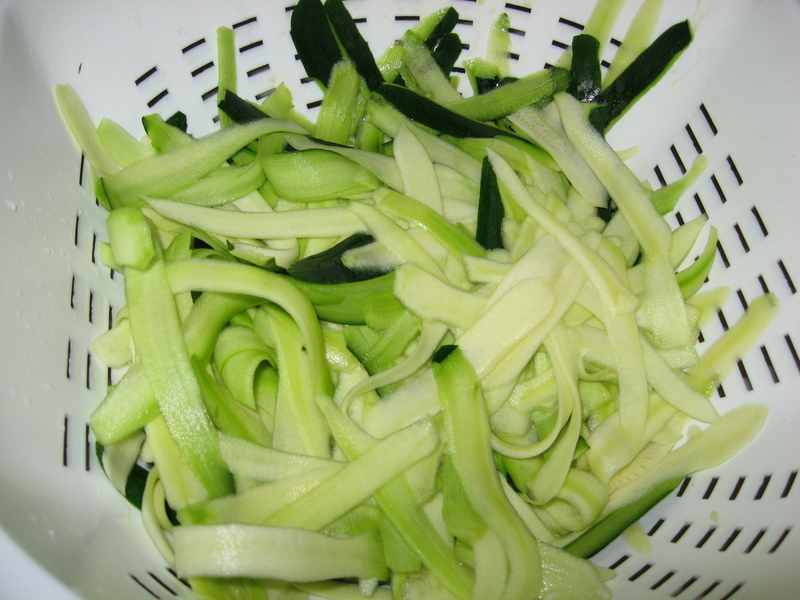 9 Chips: Use a mandoline or food processor to slice the zucchini as thinly as possible. Arrange the slices on a baking sheet, mist with cooking spray, then season with herbs, spices, salt and pepper, whatever you like. Bake at 375 F until the chips are nicely browned. 10 Casserole: Cut a whole mess of zucchini into 1/2-inch rounds. 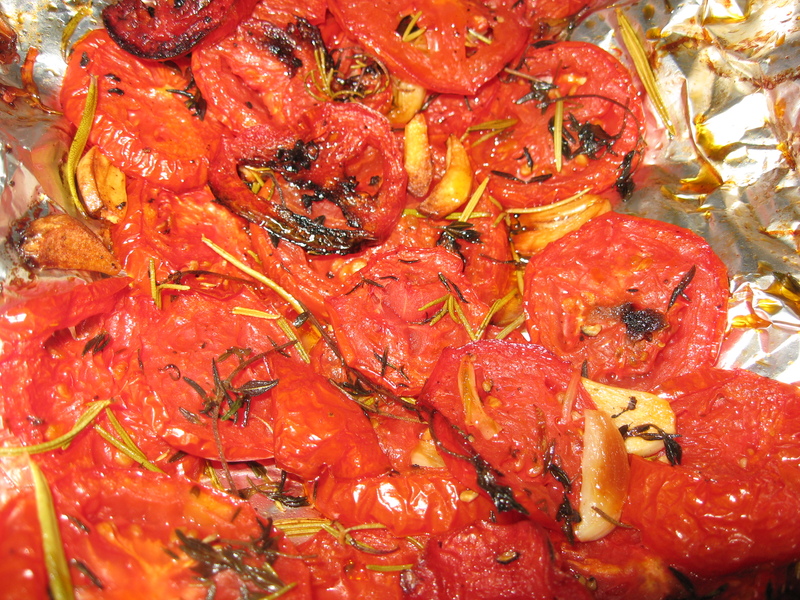 Arrange several layers of them in an oiled casserole dish. Top them with a bit of marinara and some ricotta cheese. Repeat this layering until you fill the casserole dish about three-quarters of the way. Bake at 350 F until tender, lightly browned and bubbling at the edges. 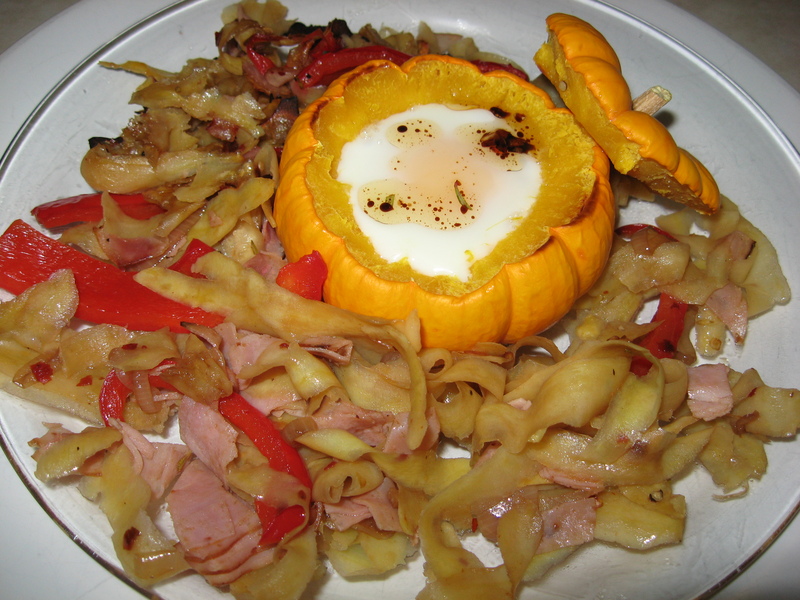 This is probably not a dish that you will make more than once or twice a year, but for around Halloween or Thanksgiving, it’s a colorful and yummy dish with which to surprise your family and overnight guests for a breakfast or brunch. It’s a pretty and unique dish to serve and I think just plain memorably fun. 4 mini orange pumpkins (4 inches in diameter) which you’ve cut about 1/3rd of the way down, seeded and spoon-scraped clean the insides so that an egg will fit in nicely. 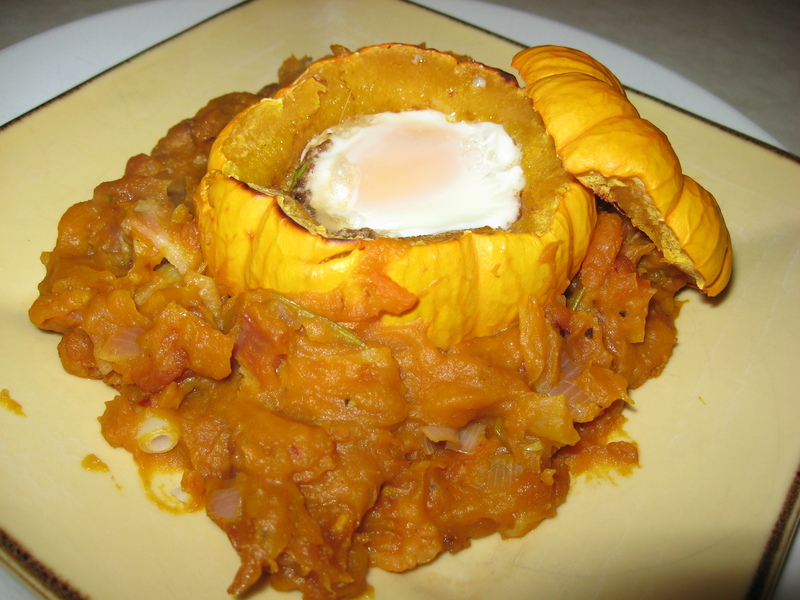 The pumpkin inner flesh is delicious to eat with the egg. SAVE THE TOPS FOR DÉCOR and if they have a stem, all the better. 1 small package cut up fresh squash and cut up even smaller by you into 1/2 inch diced pieces or 1 sweet potato peeled and coarsely shredded or grated. Preheat oven to 375 the day of serving. In a small bowl whip together the olive oil, vinegar, chili flakes, garlic cloves and sage or rosemary. Reserve about 2 Tblsp. to either brush on the bottom of the pumpkins before placing in an egg or to drizzle on top of your egg when the egg is cooked. In a medium sized frying pan, heat up the 1-2 Tblsp. 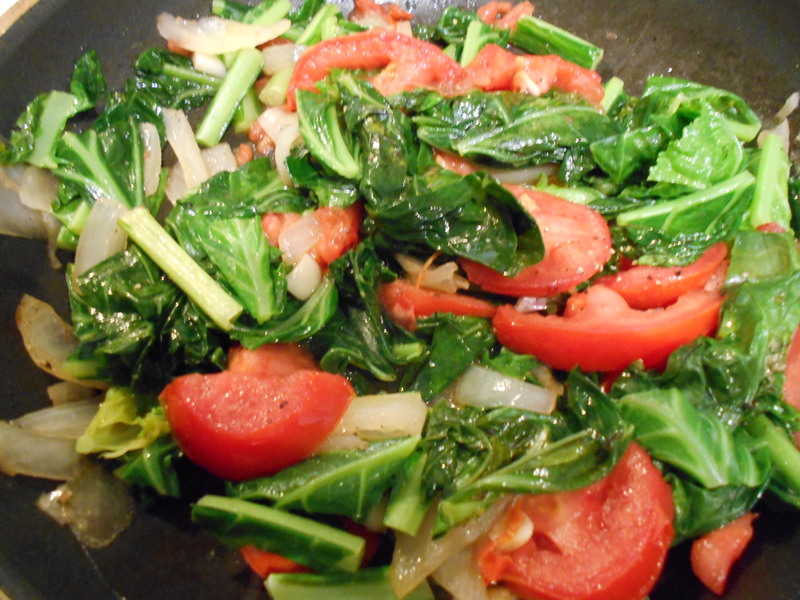 olive oil and sauté the onion or shallot along with the red pepper strips until both are softened (about 5 minutes). Add the vinaigrette to the onion/red peppers and quickly add the sweet potato or squash; gently stir everything so well mixed. Cook over medium heat, stirring occasionally, uncovered until softened and tasting pretty good (about 10 minutes). At this point you can put a lid over the skillet to keep warm until you serve your egg/pumpkin or you can refrigerate it and reheat it with the pumpkins and eggs when you cook them. If you refrigerate the hash, let it come to room temp before putting in the oven with the pumpkins. Baking the hash in the oven will crispen the hash and you may prefer it like that. The day of serving, for the pumpkins, line a baking sheet with foil and place them on the foil lined baking sheet, cut side down. Bake the pumpkins on the sheet for 15 minutes. Remove from oven. Turn the pumpkins right side up on your baking sheet and if you wish, brush the inside of the pumpkins with a little of the leftover vinaigrette and season with S&P or save the vinaigrette for top of the egg drizzle when the egg is cooked. Crack one egg into the center of each pumpkin and if you wish to have a crisper hash or need to reheat your room temp hash, single layer that around your pumpkins. Return the baking sheet to the oven and continue baking until the eggs are almost set—around 15 minutes. Start keeping a close eye on them about 10 minutes on and remember that when the pumpkin is out of the oven, the eggs will cook a bit more inside the hot pumpkins. To serve: Spoon the hash onto plates and nestle the pumpkins in the center. Lean one pumpkin top on the side of each pumpkin. Drizzle a bit of the vinaigrette on top of the egg if you desire. I love our wonderful Hagerman white corn. So, while it lasts and is so well priced, here’s a recipe that I thought was easy to make and very good to eat. Hope you enjoy it as well. Place a grater, the box or ladder kind, in a large deep bowl. I put the bowl in my sink to keep the splattering to a minimum because the following process can be a bit messy. 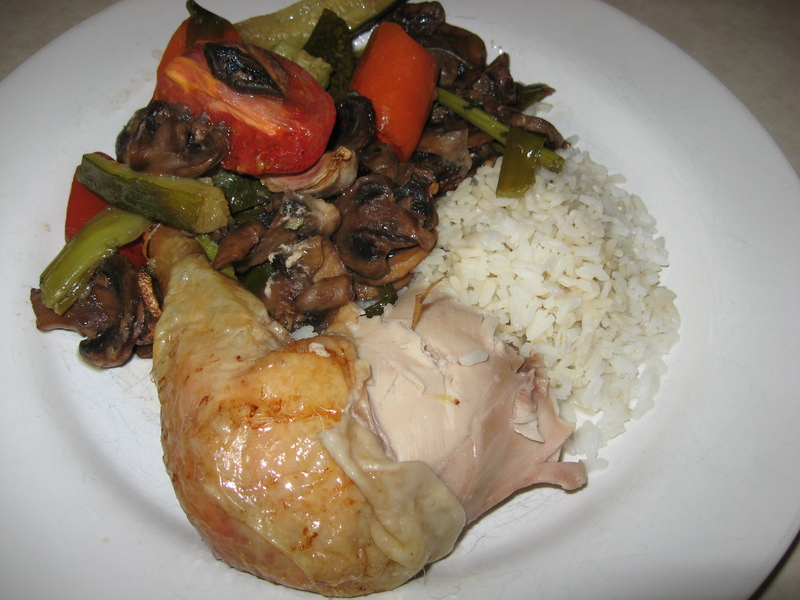 Over medium high heat, place your oil and when it is hot, add the mushrooms, shallots and garlic. Turn the heat to medium low and cook them, stirring every now and then, till softened—about 10 minutes. Increase the heat to high and when the oil sizzles (you may want to add more oil if you feel there isn’t enough), add the corn and its juices. 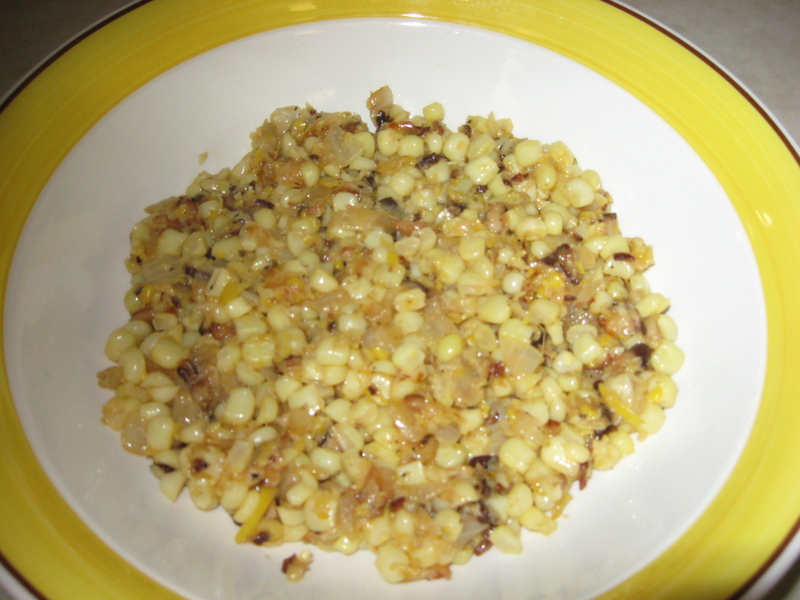 Cook the mixture over medium high heat, till corn is thick and shiny—about 3 minutes. Add the lemon zest, lemon juice and S&P.